Additions, updates and corrections will be posted here. So always check this section first.
" As an apprentice starting in 1977 I was part of a group of 25 that year. After finding this site I have spent the past 2½ hours going over the pictures and stories. " " It was a fantastic apprenticeship, "It will cost £1,000,000 to train you lot over the next 4-years" said Don Main, the apprentice master on our first day. Along with Don was Roy Steadman, Wally Waterfield and Norman Pocock who were managed by Brian Hatto, the Apprentice Manager. " " The 'Old Site' was where we all started with our basic skills training then sent off around the site to learn more. Bay 7 was the maintenance workshop with all the fitters and electricians together, Cell 4 (Concorde) was shut down in 1976 (I think) so we used to raid it for bits and pieces; 9 & 10 machines were hot and noisy but absolutely nothing on working in the Air House with the massive steam turbines/compressors. Synchronising those at 2000 rpm (or was it 3000) MANUALLY to the grid at 11Kv was certainly nerve racking. " " Mentioning the Admiralty Test House, Glen Test, and the other buildings brings back fantastic memories. Airplane magazine did a great article on Pyestock last year, I have that laminated at work and when people ask about the UK (I now live in South Australia) I hand them the pages and say “You’ve a lot to learn boy” as my apprentice master Rod Bye (Cell 3 West) used to say. " " In 1981 I finished my 4-years and was stationed in the BTH (Battle Test House) looking after all the electrical services, one thing that I could never find an answer to was... at the rear of the BTH was a compound which had a load of shapes all wrapped in a hard foam/plastic sheeting. On it was a notice saying if this covering was damaged then to call a number and report it immediately? " " I asked some of the old salts what it was and they said it was probably parts of some plane but not to touch it, were these parts of the TSR2? " " The boilers were being refurbished in 1982 then the contractors disappeared overnight, we saw them a few days later on the new welding a helicopter deck onto the Canberra as the Falklands campaign got under away. " " Each time I return to Farnborough (my folks live in Cove still) I look at the outskirts of the site and remember the good old days playing for the Pyestock cricket team then returning to the social club for a few beers and, if the tables were free, a game of snooker. " " Would love to get a hold of a photograph of my years intake, some of us are no longer here, rather sad when you look back at young men being given a huge opportunity to get into a great engineering facility, simply the best of its time. " " I just wanted to say thanks for the website. You have obviously spent a lot of effort in writing your experiences, and narrating the sequences of photos. The result is worth that effort. " " Really, the website represents a documentation of the place, in a way that nobody in government or in the heritage sector seems to have bothered to do. I'm struggling to work out how to say it, but ngte.co.uk seems like a work of national importance - and you would think that a museum or some part of the establishment would want to preserve it. For it to be the work of one person, with the help of a small band of fellow enthusiasts, is really staggering. " " Well done, and thanks for the enjoyment I have had following your tour of the site. " " Google Earth shows the site in process of demolition, with excavators and other plant around, and a lot of what is in your photos vanished. I don't know how old that aerial photo is, but I'm guessing the site has been cleared by now. So I'm guessing there will be no more new photos ever again. " " I've no connection with any of the site's history, so I'm afraid can't add anything useful to the story. Indeed, I didn't know of the existence of Pyestock until a couple of days ago - there is a passing reference to it in the book "Empire of the Clouds" which made me Google it... "
The site has now been totally demolished and cleared and as Chris states above, there will be no more new photographs. That does not mean there won't be any more archival photos. I recently received a booklet about the building of the Admiralty Test House so I'll be gradually scanning this and adding it to the website over the next few months.
" I have just come across your website on Pyestock and felt prompted to drop you a note. " " I was recently in Farnborough for a couple of nights, so took the opportunity to have a walk around the former Royal Aircraft Establishment site. " " In so doing, I found the old renovated buildings housing the now disused wind tunnels (see www.airsciences.org.uk/windtunnels.html). I also found a library now set up on the site (see aerosociety.cirqahosting.com).
" 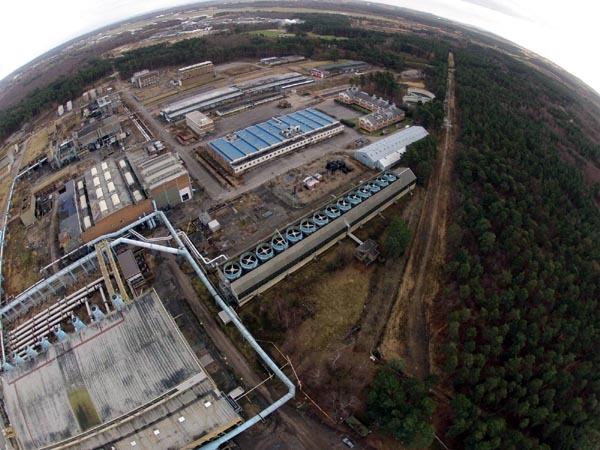 However, whilst researching the wind tunnels on the Internet, I came across information regarding the National Gas Turbine Establishment at Pyestock in Farnborough and subsequently your most informative website, which has been quite fascinating. I also came across some documents at archaeologydataservice.ac.uk/archsearch/, searching for 'pyestock,' in particular archaeologydataservice.ac.uk/archives/view/greylit/details.cfm?id=31797. You may well have seen this, but I note it just in case. " " Having worked in the defence industry for 28 years I am amazed I was not aware of Pyestock nor its sad demise. I note from a Daily Mail article that soon after its part privatisation, Qinetiq sold the site for £31m (presumably just chasing the cash), but it is just another example of the UK abandoning manufacturing, unable to look past the short term. The destruction of the TSR2 military jet, which was years ahead of anything else, the abandonment of the UK's space rocket programme, the cancellation of the tilting Advanced Passenger Train, noting we now buy tilting trains from Siemens, all sad examples. The cutting up of the Nimrod MRA4, the most capable maritime reconnaissance plane in the world, as ordered by the current Tory government, wasting £4bn of investment, did nothing to further manufacturing in the UK. " 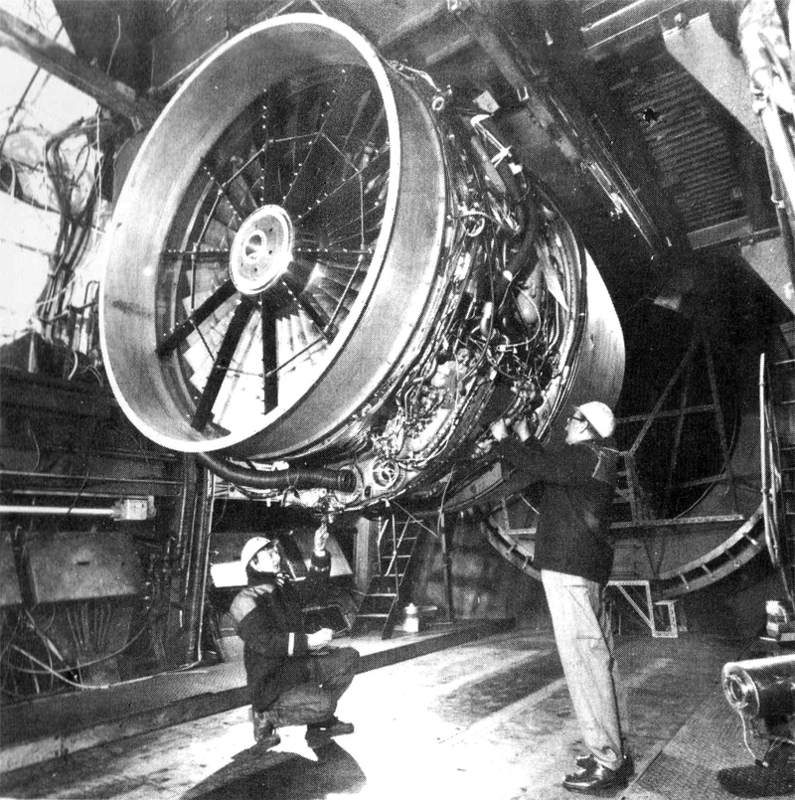 " I note from the archive document cited above that Rolls Royce took its high altitude testing of its Trent engines to the US as it would have required Cell 3 West to have been made bigger. What a shame there was no foresight for Qinetiq or the UK government to invest in Pyestock so the work could have been done in the UK. I wonder where the engines for the QE carriers have been tested? " " Thank you for all the work, effort and collation you have put into the website. It's a fascinating read, I've gleaned a whole lot more from your site than I ever did in the two years I spent at Pyestock in the mid 80s. ."
" I have been loving your site, bringing back many memories for me as it was where I had my first "real" job as an engineer fresh out of University. I was there from '87 to '96. " " I joined the diesel section of the Naval Mechanical Engineering Division (NMED) - which like so many things in the MoD got renamed several times, ending up as the Marine Engines' Branch. I started in 1987, working mainly on Naval Diesel Engines in the Plant House. The diesels were housed in the C cubicles. The engines were often known by their nicknames - C1 was the Trident (12 cylinder Paxman Valenta or Ventura emergency generator for Nuclear Subs of the Trident Class), C2 held a Paxman Ventura that I used for trials on submarine turbocharging. Both those used the upper control rooms. C3 and C4 were not part of our domain and I think were empty. C5 was split into several smaller cubicles - your picture of the C5 cell shows the rails on the floor that held the engines, but what is missing is that each was in its own largely soundproofed chamber. The control rooms of the three "mini" cubicles were down at ground level along the windows. I think the main open area with the roller doors was C5a, and the three smaller cubicles were C5b,c and d, though the a,b,c,d might have been the other way. The one nearest C4 held the SSK (Ship, Submersible, Conventional, which was the supercharged 16 cylinder Paxman Valenta for the Upholder class type 2400 submarines). I am pretty sure that is the engine in the picture Mike Graddage sent in. To give an idea of size, Paxman Valentas are the diesels found in the old InterCity 125 trains. The cylinder had a 7 1/2 inch bore and the 16 cyl supercharged one produced about 1.4 MW of power. " " Next along was the "Smurf" (SRMH or Single Role Mine Hunter engine - a low magnetic engine) and then the "Dormouse" (A Dorman 6 cylinder). The engines were operated and looked after by our fitters who were based in the New Fitting Shop. The North end of the New Fitting Shop housed machinery, the South end workbenches for the fitters. The offices were for the PTO in charge of them and the leading Charge Hand for the workshop, I think. " " The large open end part of C5 was empty when I joined but later housed the Ruston RK270 - a beast of a 12 cylinder engine. that one was controlled from the upper control room. The rest of the upper control room was largely unused - but I did have equipment up there for applying condition monitoring to engines - including an old IBM PC ATX (with a colour display!). " " Somewhere I have a couple of group photos of the Diesel Section all standing in front of the Ruston. One with just us and the engine and one with a Ruston Steam Traction Engine also there (the PTO for the fitters was a steam enthusiast and arranged the visit from an an engine that was at the Rushmoor Rally one year). When I find those pictures I will scan them for you. " See also the Plant House (C5), New Fitting Shop and ATH Archive.
" First of all I wanted to say how much Ive enjoyed looking at your web sites. It really makes things exciting for people like me who are a bit nervous to have a good explore through the eyes of people like yourself -who aren't! " " Anyway about a two years ago I started to think about my grandfather, Arthur Connor, who worked ( I was only a boy at the time) in Farnborough, he and my Grandmother lived in Ash Vale, and I often stayed there in the 70s. He didn't talk about what he did at work, although one day he came home with some headphone/ear protectors which had somekind of pick up that attached to the throat area and could pick up voice in heavy noise, so being from a average family, in the days of a much poorer Britain, just played with them, of course he explained that they were used when testing engines at work. " " Often Concorde could be seen flying into Heathrow from where they lived, and although he didn't ever talk about what he did at work, he did say he'd worked on testing Concorde's engines. He's been dead since 1992, so I cant ask him. Anyway, I put a few of the jigsaw pieces together and, I ended up on your amazing Pyestock website. " " As I worked my way through it amazed me to see where he worked, I then came across the picture of the two fitters installing the RR engine, and felt pretty sure it was him - the man on the right hand side with the glasses/donkey jacket/safety hat. " " I alerted my Mother to this,and she thought was/ might be him, and said that she recalled a picture of him working at Pyestock, but that this had been in the local paper. My Mother also said that he was very scrupulous about the security at Pyestock even cleaning out his turn ups so that no filings or anything would leave with him by accident. " " My grandfather had worked at the Arsenal at Woolwich before, during and after the war, then he was asked to work at the NGTE. My mother said he had been screened by MI5 at the house to examine his political persuasions and signed the OSA because of the nature of the development of Concorde. I do recall asking my grandmother who is also dead, what he did and she said she didn't know, although he came home with a cut on his leg one evening and she inquired "how" etc. and he replied it had been done climbing out of a tank. So she thought he worked on tanks and didn't have a single clue or even where he went to work! " " Of course to us these people seem naive to us in our era of social media confessionals, but they weren't, they were normal,decent people. But now we couldn't but imagine a couple talking to each other about their jobs, OSA or not! " " My grandfather died of lung cancer, but there was some talk I overheard of an explosion at the NGTE some year previous and many people had been exposed to asbestos. I do recall some of his colleagues had either died or were suing the people at the NGTE circa 1990. This of course is hazy in my mind and I'm really not sure if people even went that far, certainly my Grandfather didn't pursue it as he'd been a smoker all his life. " " That's it! No more stories, which is a sign of what these people were like, silent, authority biding. I think he would be a bit angry and irritated that some secret files had been left on the floor as in one of the JPEGs, and I think he might have wondered what all the effort fighting the cold war had been about! - but would have been proud to be part of great engineering developments especially in civil aviation. " " So for me, your web site was a lost part of the puzzle, and really I can't thank you enough. It was an exciting time to stay at their house, for example, next door lived one of the designers on the DH110 that crashed at Farnborough in 1952, and the poor chap had become mentally ill after the crash (he blamed himself) and would often be spied upon through the fence as he ranted meaningless equations and sentences. Most of these people have gone now, so for me your website was a kind of testament to the cutting edge of engineering's bygone era. " " Some of the most pioneering successes in jet engine technology were produced there, I spent many hours peering through a periscope into the core of the RB199 triple system re-heat, through to icing trials on the RB211 and Sea-king helicopter which fitted snugly into Cell 3 West. My memories are extremely fond and plentiful but as a government establishment the writing was always on the wall. " " Guess what? After one year after completing my apprenticeship I found myself on the Test Beds of British Airways, all sea level stuff but still extremely exciting. Setting the max power governors on a Spey 512-14, three inches from your face, beyond full throttle was about as good as it can get. " " My best memories are working closely with jet engines and the closer the better is where you would always find me. It makes looking after 280 A/C departures at Term 5 seem quite bland by comparison. " This update marks the publication of the final pictures I took during my exploration of Pyestock in 2006 and 2007 and therefore this website is temporarily completed. I say "temporarily" because there’s always the chance that more technical information may come to light, or ex-employees may get in touch with more stories, or more archival photographs of the site may surface. Unfortunately the chance to take more photographs is now over. In February, the bulldozers moved in and the demolition of Pyestock began. Several of the smaller buildings and structures pictured on this website have now been demolished. Such is the fate of all the buildings I've explored. But the loss of Pyestock is particularly poignant as it’s a huge loss to the history of post-war industry in this country and of our world-class endeavours in the development of the gas turbine. The Documentation section continues to grow with details of Tom Kerr's self-published book Always A Challenge . 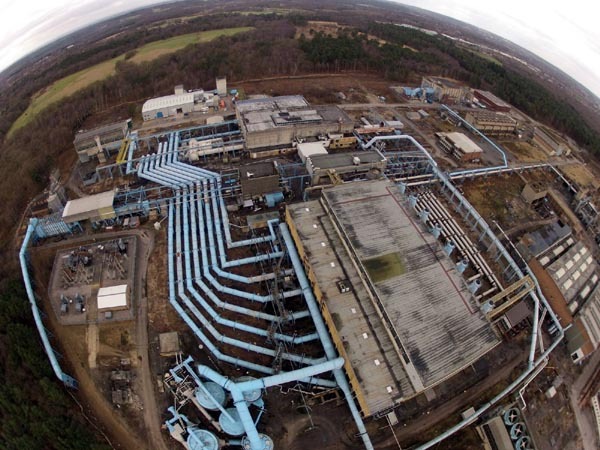 This site concludes with short detailed explorations of the CECA Plant, the the New Fitting Shop, the Bramshot Cooling Towers and the Air House Cooling Towers. More information about the F1 Kestrel which could be found in the Main Stores . I will now return to work on my main urban exploration website, urbex|uk, and start publishing explorations from 2008 onwards. However, if any new Pyestock material surfaces, then it will be published here. Cells 1 & 2 have now been documented. Unfortunately this isn't to the same level of detail as the other buildings, as our next long-postponed trip to Pyestock would've concentrated on this section of the site, but what's there gives a flavour of one of the oldest pairs of test cells. The online Daily Mail recently featured Pyestock and the work of Matt Emmett. The article lamented the loss of British Engineering and Industry and used Pyestock as the perfect example. Looking for the perfect backdrop to showcase his prototype The Mantis, and inspired by this website, Matt Denton arranged a video shoot of his robot against the blue cylindrical tanks of the Ceca Plant. Pictures and videos are in post-production but Matt has already published some excellent aerial views of the Pyestock site. Cell 3 West has now been fully documented. Ashley e-mailed with information about three documentaries which include information about Pyestock. More information about them is included in media section along with screengrabs featuring a pristine Cell 4 being readied for tests. Mike's sent in pictures of submarine engine tests which took place in cubicle C5 of the Plant House. He also scanned the "missing" first section of Engine Test Facilities - Issue Three. Cell 4 has now been fully documented.
" Just found the site which brought back many fond memeories for me. Turbine testing was not the only work undertaken at Pyestock. I was a civilian Scientific Officer serving in the Royal Naval Scientific Service at the Admiralty Engineering Laboratory at West Drayton in 1976 when we started transferring diesel test work to Pyestock as part of defence rationalisation. " " I worked in the Plant House until I left the MoD in 1985 and in my 9 years there helped set up and run diesel engine development tests in C1, C2 and C5 cubicles. I also had a test rig on the old site. Some of your photos show 'my' old (very noisy) office which looked out over Cells 1 & 2. The photo of the walkway along the C side shows not much had changed in the 22 years after I left. " " Many years ago I was employed as a project engineer by a contractor which was supplying additional cooling plant for Cell 3. We were doubling the quantity of coolant for testing the RB211 turbine. " " The facility no longer manufactured but tested power plants made elsewhere. I had a good look round and was fascinated by what I found. I still remember walking through the fully equipped, but deserted workshops, full of machine tools which were never going to be used again. I also spent a lot of time on the top of the coolant storage tank during the week watching the flying displays. It was Farnborough week. " " I can also remember attending a project meeting in an office across the street from a cell which was testing a early Harrier turbine.During the meeting there was a explosion from the cell and the sprinkler system drenched the cell causing a cloud of steam to be produced. I was informed later that a home made plenum chamber on the air intake had been ingested. " " Very interesting site. During 1977/78 I worked at a place called the Admiralty Engineering Laboratory at West Drayton, having just finished my apprenticeship at Devonport Dockyard. " " During my time in the drawing office myself and a colleague worked on relocation of many AEL systems to NGTE Pyestock as part of the consolidation and closure of MOD sites around the country. I do not remember much about the visits, and only that we were moving generator and other electrical test facilities to the site. " " AEL was an engine and electrical power systems facility. They had Deltic and other propulsion engines in cells, used on minesweepers if I recall. I worked on automatic synchronisation equipment required for multiple generators on a ships power systems. There was also a major shock and vibration facility, critical for survival of ships equipment when in action. Unfortunately I moved on before the transfer of the site. " Cell 3 has now been fully documented. The Air House has now been fully documented. The Documentation Section has now been completed with the addition of the Engine And Component Test Facilities - Issue Three. This comprehensive document is an earlier version of the previously published Engine Test Facilities and includes several different sections - most importantly there are sections on the Component Test Facilities (so there's more information about the Plant House and Admiralty Test House ) and a whole section devoted to noise testing and the Anechoic Facility. The whole Then And Now section has been updated with many new pictures. The Document Section will be the next part of the site to be completed. So the next booklet uploaded is a Recruitment Brochure from 1975 which gives an overview of the scientific work carried out across the entire site. It's also especially interesting as it includes pictures of the interiors of the Anechoic Facility. Two pictures of this new brochure have been added to the Then And Now section for Cell 3 West. I have now completed the Pyestock Diaries section, uploading an account of my last exploration (Magpie Abuse) along with an account of how the situation at the site changed in the next year (Can You Guess Where I Am?) along with Major Tom's account of a narrow scrape which occurred last year (Luncheoning With Security). So with the whole urban exploration section is completed, I'll be moving onto getting the rest of the documentation uploaded. I think this website currently stands at about half finished, considering the amount of archival material and current photographs left to publish. So, after a lengthy pause, it's time to push forward and add some more content. Firstly a warning to all urban explorers: " I would be a good idea to put a little side note on your website about the fully active and operational test cell in the top left hand corner of the site. Vector test the T56, the Dart and the RR Conway engine at Pyestock. Whilst the T56 and the dart are relatively quiet and well silenced engines, you can be stood outside the cell chimney and just hear a quiet hum. The Conway is a different animal entirely this is a VERY LOUD engine, it will shake you to your core if you are stood near the hush house. But long term hearing damage can occur if you are near the cell for any longer than 15 minutes without hearing protection. " It goes without saying that certain areas of the old Pyestock site are still in use and that urban explorers should stay well clear of them. Having said that, it's perfectly obvious which parts are still active: they look modern, are well kept, and usually have several cars parked outside them.
" I have chanced upon your website that documents the tours of Aquila and Pyestock. It is strange that you have visited two places that had such a profound influence on my life so far. I was an apprentice at Aquila from September 1980 until September 1985. I worked at Pyestock as Engineering Manager in Cell 3W for a short while and then for a longer period in Cell 3 in the period Jan 1995 to Nov 1999. " " I think that the building in Pyestock that you describe as the power station was in fact the cold air turbine. This was connected to a 5MW alternator but the aim was to expand compressed air to produce cold, dry air for altitude conditions; electrical power was a by-product. The main air compressors were much bigger with the eight in the air house in the order of circa 27MW each. From memory exhauster numbers 9 & 10 were a bit smaller than the original compressor / exhausters. " " I have enjoyed looking through the pictures from your first five visits to Pyestock. Unfortunately the links for visit 6 & 7 do not seem to work ".
" It is a fact that I was very lucky to have worked at this site when it was THE benchmark test facility of its kind. I have no doubt that there are cheaper ways to produce the engine performance data these days but I doubt that we learn as much from those methods! It is a real shame that we will never see this type of engineering in the UK again. The political decisions that lead to closure were wrong. The commercial case for keeping the Pyestock plant running was very real; GE wanted to test a programme of engines in Cell 3W beyond the scheduled closure. The reason it closed was (in my view) due to the poor choices made by some ill-informed people during the formation of Quinetiq from DERA. " " The excellence that was developed at centres like EQD Aquila and NGTE Pyestock came from investment in good people that had bold visions that served the needs of our country. The reasons they closed is because a few individuals did not have the appetite to manage risk and harness technical excellence for the greater good. Those individuals chose their personal wealth and "honours" over the on-going needs of our nation. Because of their poor decisions we have fewer options for our young people to really learn and experience and practice engineering excellence in the UK. " " I left Pyestock before the closure and have gone onto work with a number of large blue-chip multinational companies. I have experienced work in FMCG and service sectors. None of the corporations that I have worked for have demonstrated the vision and innovation that was clearly evident in the British Government when they were investing in the MoD research facilities and apprenticeships. But the UK Government bet that the market new best and let the corporate decision makers take over! I firmly believe that the cost saved by closing those MoD blue sky programmes was a fraction of the wealth that would have been generated by investing in their on-going operation. The accounting methods that ended these programmes based on balance sheet risk neglected to take appropriate account of the opportunity cost resulting from their demise. " " Please excuse my rant but I find it very difficult to forgive those that neglect the value that Engineering should play in our economy. A recent article in the Times presents the case more eloquently than I could: www.mappingbritishbusiness.co.uk. " Ric has added to the Water Pumping House pages with a description of the operation of the Plant House Pump House. He also had the following point: " Isn't it about time that someone spoke up about Pyestock and the current ash cloud crisis? This is exactly the sort of testing we used to undertake and could prove beyond doubt whether it is safe to fly through ash clouds or not. I’m sure I remember Pyestock importing volcanic ash to carry out such tests. " 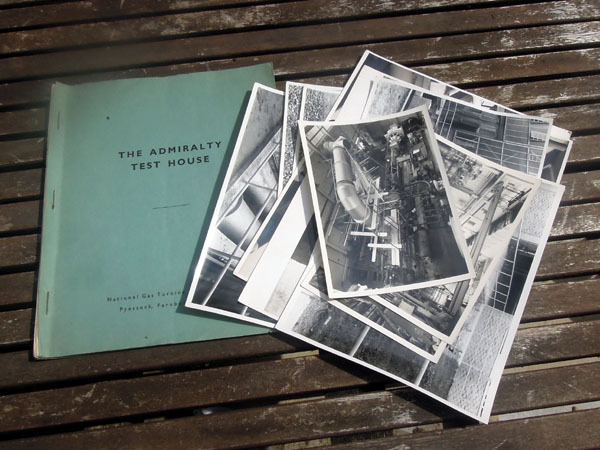 Andre has written in with memories of working in the Admirality Test House in 1954 along with a photograph of the staff. And the future of the Pyestock site has now been decided. All legal challenges have been swept away as the former government has ordered the diktat that the mega depot will be built. The whole site (with the exception of one or two buildings still in use) will be swept away. See www.gethampshire.co.uk for the local point of view and SPLAT's website for more information. And I've started, and completed, the media section. This is a handly collection of all the appearances of Pyestock in TV programmes and films. This update is all about Pyestock's history. I’ve expanded the overlooked History section (which was previously a lone comprehensive Then And Now) with the naming of the site, a timeline, and a description of starting the turbines in the Air House (and all the associated dangers) by Ric. Plus there’s the real history of Pyestock as written and published by DERA back in 1996 – which features some great pictures of the site in previous years. (Thanks to Ric and Richard for the memories and scans which were used for this update). Despite the lack of any urban exploration jaunts, or extra pictures, in this latest update, I’ve still got loads of information to add to this site. I’ve got my last Pyestock Diary to upload, lots more archival information, and full descriptions of the main testing cells to write up. It’s my intention to finish this website this year (which will probably coincide with the bulldozers moving in) – so please keep an eye on it (and urbex|uk). The Secretary of State for Communities and Local Government (DCLG) has effectively nullified democratic planning process and waved through the redevelopment of the Pyestock site. Site owners PRUPIM and ProLogis reacted with predictable glee and believe they have the go-ahead for their mega-depot: see their press release. Except SPLAT are continuing the fight and will challenge through the High Court. So, as usual, the future of the Pyestock site still seems open to debate. Of course, the whole thing will be eventually demolished. Our penultimate trip, the eventful Whatever You Just Pressed, Unpress It!, has now been written up. I'm continuing to flesh out the site and have now written the introduction and the section on urban exploration. There are various fuel and water pumping houses scattered around the site. Therefore I've picked Water Pumping House #10 as a representative example of them. Updates to Battle Test House : 1, 2, 3 and 4. (With thanks to Bob who worked at Pyestock from 1965 until 2004). A brochure from the RAE era of Pyestock has now been uploaded: Altitude Test Facilities briefly outlines the testing capability of several of the altitude test cells at Pyestock along with a description of the air generating plant. Of most interest however, are the colour pictures of the various cells and control rooms in use. These new archival photographs prompt an expansion of the Then And Now section: Air House, Cell 1 & 2, Cell 3 and Cell 3 West. Our misadventures at Pyestock continue in the write-up of my fifth trip to the site. The Plant House is the next part of Pyestock documented. This document from 1954 discusses the planned building of the Plant House ; from the structure of the building itself, through to the necessary plant and how it would operate with the rest of the site. Note that Cell 1 & 2 has yet to be constructed (its called the Ram Jet Area ) and Battle Test House is called the 14000 H.P. Turbine Test House . The full-write up along with the walkthrough can be found here. The piece about the International Stationary Steam Engine Society (ISSES) has been expanded with an article they wrote about urban exporation. More details be found in the academia section. The write-up to to the Power Station has been updated: 1 and 2. The boilers of Battle Test House were of particular interest to the International Stationary Steam Engine Society (ISSES) . They've published a piece about Pyestock in their latest newsletter. Many thanks to those who've sent me scans of old Pyestock brochures and documents. These will start appearing on the site over the next few weeks along with a write-up of the next building to be fully documented (which will be The Plant House ). The next Pyestock Diary has been written up. This relates how we explored a diagonal route across the site, from north west corner to the south east boundary. Many new buildings were discovered, we met several other explorers, and were buzzed by a large black helicopter. I've now fully documented Number 10 Exhauster. The Maps and Plans section has been updated with all the various plans and schematics from the Engine Test Facilities document. Several additional plans have been added including plans of Cell 4 And Annexe (Number 9 Exhauster), the original 1954 siting plan of the Plant House and a plan of the Plant House itself.
" Just wanted to say how much I appreciate the site. I served my electronics apprenticeship at NGTE from 1972 - 1976 and then worked in Cell 3. Whilst seeing some of the old rooms and kit brings back loads of very happy memories, I find it very sad that it will all be wiped off the face of Farnborough for ever. " A new section, Then And Now shows the differences between the photographs taken for the Engine Test Facilities document and my photographs. Remarkably both the original photographer and I chose the same vantage point for some of the shots, thus allowing a direct comparison of changes to the site over the last twenty years.
" I stumbled across your website whilst taking a stroll down memory lane and looking for some information on Pyestock. I worked there as a Data Acquisition Engineer from 1994 until its closure, first in Cell 3 West and then in Cell 3 (in the EIC workshop that was sited in the former Cell 4 Control Room, next to the Photo Room joined by Brian's Bridge). Having had a long affilliation with both the airfield (having served an apprenticship there) and the Altitude Test Facilities, it has saddened me to see it's fate should nothing be done to preserve it. I therefore took the step of creating a petition on the 10 Downing Street website to call on the government to step in and save the site and it's historic buildings. I would be grateful if you could forward details of the petition to as many people as you can think of that would have an interest in this. I will be doing the same as I still keep in touch with some of the guys I worked with during my time there. The often missed (by other urban explorers) Number 9 Exhauster has now been fully documented. The introduction to the Computer Building has been slightly changed with corrections to the installation dates of the various mainframe and mini-computers. (Thanks Mike). This is a huge update and one which underpins the entire website. Fellow explorer Stuart Dobson has scanned the entire Engine Test Facilities brochure; page after page describing the history of Pyestock, the air supply installations, the engine test facilities, data gathering techniques and the electrical, steam, water and fuel survices. I've converted to these scans to webpages, and enhanced the hundred archival pictures of Pyestock along with the schematics, engineering diagrams and cross sections of the key plant and gear. This document gives a definitive account of the facilities available at Pyestock in the early 1980s. Over the next few updates, I'll merge all the data into other parts of the website, correct and expand the existing write-ups, and then continue with my pictorial record of Pyestock. The introductory page of the Engine Test Facilities is here. Dave fills in some of the background behind the Assembly Bays and includes a story about the night an SAS training exercise went wrong. After receiving an e-mail about the Computer Building, I decided to postpone my documentation of the Plant House until the next update. The Computer Building appears to have changed not only in function, but also in form, over the years.
" Very glad that you have taken the time to document Pyestock and some of its history before that monstrous devil Tesco obliterates it for ever. I sincerely hope they do not get their way. 61,000 vehicle movements a week into the Pyestock site will destroy the local environment for miles around. " " I spent almost ten years at Pyestock starting as an apprentice, going on to work in Cells 1 & 2, Cell 3, Cell 4 and the Computer Building. I was an electronics technician covering fuel systems, telemetry, data acciquisition in those cells and eventually computers in building 574. " " I remember those years with fond memories of the whole site in full operation with things steaming, creaking, roaring, Concorde engines in Cell 4, Harrier engines and secret Russian things in Cells 1 & 2. Cell 5 being built, RB211 engines and whole Sea King helicopters in Cell 3 West. Battle House roaring away providing steam to the Plant House, and running the site in reverse during the miners strike putting many megawatts of electricity back into the National Grid during the 3 day week, and of being an apprentice and getting an engineering training second to none. " Mike also drew a ground floor plan of the Computer Building showing the positioning of the various computers and the function of each of the rooms. As it has a close association with the Computer Building, I've also documented Monk's Tunnel and other other tunnels nearby. The rest of the DERA documentation specifying the capabilities of some of the test cells has now been uploaded. There's an introduction along with specifications for the Admirality Test House, Cell 2, Cell 3 and Cell 3 West. I've written up my third trip to Pyestock which took place exactly a year ago today. David has written in with several additions and corrections concerning the boilers of the Battle Test House so it's worth taking the walkthrough again to read those. He's also supplied some diagrams of the Admiralty 3-Drum Boiler and Forced Draught Blower.
" Having worked at Pyestock from 1984 until its closure in 2001 I had the fortune to work in most of the test facilities from Cell 2 to Cell 3 West and most of my time spent as the electrical PTO for the ATH being involved in two complete rebuilds for testing the SPEY SM1C for the Type 23 Frigate to my last engine which was the WR21 which is used in the new Type 45 Destroyer. " Further additions to the Admiralty Test Cell include more details about some of the rooms on the ground floor (and a couple of extra pictures). I've also uploaded some DERA technical information about the ATH. Ric wrote in about how Pyestock's unique atmosphere affected the plant life. The Main Stores gets a full write-up. I wouldn't ususally spend so much time on such a relatively insignificant building (especially when compared to the rest of Pyestock) but its current contents are definitely worthy of mention.
" I just found your site and wanted to share my appreciation for what you have done here. I was an apprentice at Pyestock from 1978-1982, in fact my class was the largest of all the years with 24 apprentices. After my apprenticeship ended I spent two more years there before moving on. " " I am kind of glad that I was not around to see the demise of this once great and still historic site. Even today I still think back and wonder what happened to all the characters I knew when I worked there. Even then we still explored the older buildings with a sense of wonder, one day we even found some of Sir Frank Whittle's old test parts and papers which were restored and put on display in the main office building (don't know what happened to them since). " " Even though your site left me feeling a little sad I was glad that it will not be forgotten. " Architectural glossy Blueprint Magazine recently published an excellent piece about urban exploration. Whilst it's great to be mentioned by name, it also provides a handy historical background of the UK urban exploration scene. Sister website, urbex|uk, has been invited by the British Library to be archived as part of the UK Web Archiving Consortium: " The British Library would like to invite you to participate in this work by allowing us to archive your web site under the terms of the appended licence. We select sites to represent aspects of UK documentary heritage and as a result, they will remain available to researchers in the future. We aim to subsequently include the archived copy of your web site in our permanent collections. " This means that the Pyestock pages on that site (which are included here as the Pyestock Diaries) will be archived by the Consortium as a historical record. This is just a small update as I've been working on a piece for my main urbex site. The shell of the Admiralty Test House comes alive thanks to comments from Pete who ran part of the facility (and was able to give names and functions to the various rooms). It's worth taking the interior walkthrough again. You may have noticed an animated diagram of the WR21 project tests (which I'm assured is now declassified). This was provided by Chris who ran Cell 3 West for ten years and the Admiralty Test House WR21 project for two years. He's supplied further diagrams of Cell 3 West which really help show how the cell worked. Plus a bibliography has been added to documentation section. One of the misunderstood, and sparsely photographed, buildings at Pyestock is the Battle Test House. I've now added a summary of its functions and a walkthrough of its various key areas. The third entry of the Pyestock Diaries is now online. Your Guess Is As Good As Mine is an account of our second trip to the site. Whilst people have been creeping around Pyestock for months, one of the test cells is routinely ignored and has hardly been photographed. So, it's time to redress this: the Admiralty Test House gets the full write-up. The Pyestock Diaries continue with an account of sitting around and fretting, plus a rant against the current vogue for "macro" photography. And I've published my essay on urban exploration for the Construction History Society. It's partly concerned with my plans for Pyestock (which ultimately lead to this website). The first entries have been added to the Links section. As this is a new site, you’ll find many of the links take you to holding pages. I'll gradually add to these pages over time. The Virtual Tour section is complete. Feel free to explore. This provides a historical background of Pyestock, together with brief descriptions of the key buildings on the site. More detailed descriptions of the buildings will be added to The Buildings section in due course. At the moment, the Power Station is the first building to get a full write up, but you’ll find further information on all the key buildings in this section. If you're in need of a map of Pyestock, then I've drawn one up here. Plus the Pyestock Diaries have begun with the first entry. I hope you enjoy the site. Keep checking back. There's much more to come.